Home inspection costs often range according to size, age, and location of the home. 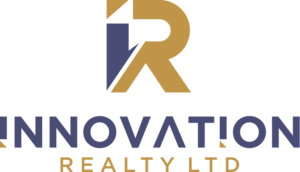 Your Royal LePage Team Realty sales representative can recommend reputable home inspection services or arrange for a home inspector to visit your property. The main purpose of a home inspection is to determine if the home has any existing major defects (usually defined as repairs costing $1000 to $1500 and up), or any major repairs coming up in the near future. The inspector will point out smaller defects during the inspection, of course, many problems can add up to a major cost. Roofing, Chimneys and Flashing, Exterior, Property Drainage, Structure, Electrical Heating and Cooling, Insulation, Plumbing, Foundation and Interior. If significant repairs are discovered during an Inspection, your Team Realty Sales Representative will discuss and recommend options. It is quite possible you will save money in the future by completing maintenance repairs suggested by your Inspector, that would lead to larger repairs if left unattended. Your Team Realty Sales Representative will recommend that you include a clause in your offer, allowing for you to conduct a Home Inspection and being satisfied with the outcome. The inspection generally takes place after you have negotiated the final price. At this point you are fairly confident that you will be buying the home. A good quality Home Inspection in the Ottawa area will cost between $350.00-$400.00 plus taxes. A small price to pay compared to the cost of a major deficiency discovered after you own the home. Be sure your Inspector offers a written report and a written contract. A verbal Inspection will be of no use to you when you move into the house three or four months later. The benefits realized from a professional Inspection far outweigh the cost.